In the first part of this article, we stopped at the question: Did Jesus (Peace Be Upon Him (PBUH)) tell the people to take him as a deity? Now, let’s try together to discover the answer. “I am the way”, then Jesus is God? Muslims believe that Jesus (PBUH) never said to his followers that he is a god, he never said to the people to take him or his mother as deities. He neither explicitly said “I am God” nor “worship me”. Then, what about his saying: “I am the way”? When I talked to some Christians, I discovered that the reason why they believe that Jesus is God and they should worship him as a god is these words. He said “I am the way”, so definitely he is God and we should worship him! “If you really know me, you will know my Father as well.” [John 14:6-7]. because I seek not my own will, but the will of the Father who sent me.” [John 5:30]. It is so apparent here that he is talking about a god who is totally other than him. So, what about him being “the way”?! As for the word “I am the way”, the surprise is that we can find the same meaning in the Qur’an, but about Prophet Muhammad! Say, “Obey Allah and the Messenger.” But if they turn away – then indeed, Allah does not like the disbelievers. (32)” [quran.com/3/31-32]. All the Prophets and Messengers, including Jesus and Muhammad (peace be upon them), are the way for their people and followers to their one and only God, Almighty Allah, the only true unique God who is worthy to be worshiped alone without any partners with Him. God sent Prophets and Messengers to call the people to worshiping Him and to guide and show them how to worship, obey, and satisfy Him, and how to live their life as God intends. So, through obeying the Prophet and following his teachings, one can worship God, and gain His satisfaction. Thus, accordingly, all the Prophets and Messengers of God are “the way”. Are God’s attributes applicable to Jesus? From another side, there is no doubt that God must have some unique attributes (and that’s why He must be only One!). These attributes must be applicable only to Him, to God alone. From among these attributes, God must be Eternal, He must be The Most Great, The All-Knowing (Who has the absolute knowledge), The All-Powerful and All-Able (Who is capable of everything and has full and absolute power and ability over everything), and He reveals and is not revealed to. “By myself I can do nothing” [John 5:30], which means that he is not all-powerful and not all-able, and he does not have the absolute ability and power! “But of that day and hour no one has knowledge, not even the angels in heaven, or the Son, but the Father only.” [Mark 13:32], which means that he is not all-knowing and he does not have the absolute knowledge! “The Father is greater than me” [John 14:28], which means that he is not the greatest! “I have much to say in judgment of you. But he who sent me is trustworthy, and what I have heard from him I tell the world.” [John 8:26], which means that he is revealed to. 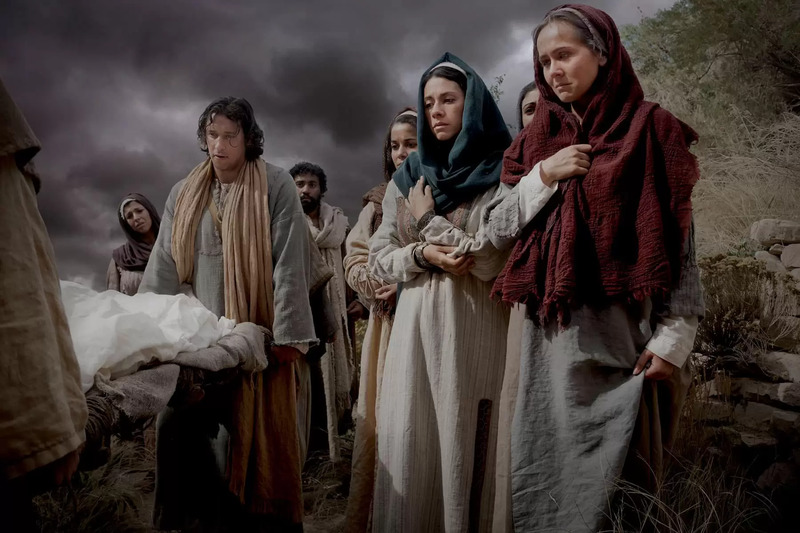 Finally, Jesus was given a birth by his mother Virgin Lady Mary (peace be upon her), which means that, at least, his mother existed before him, which also means that he is not eternal! So, if God must be Eternal, The Most Great, The Most Powerful, The All-Knowing, and only reveals but is never revealed to, then Jesus is not, and can never be… God. Jesus witnessing that there is no god but Allah and that he is a Messenger of Allah! Now this is eternal life: that they know you, the only true God, and Jesus Christ, whom you have sent.” [John 17:3]. Allah will say, “This is the Day when the truthful will benefit from their truthfulness.” For them are gardens [in Paradise] beneath which rivers flow, wherein they will abide forever, Allah being pleased with them, and they with Him. That is the great attainment. (119)” [quran.com/5/116-119]. Now, after we answered the question of whether or not Jesus (PBUH) is God, there is another question that needs to be answered as well. Since Jesus is not a god, then: Is Jesus the son of God? This is what we will discover together in the coming article of the series. Stay with us!